Topiaries are as popular as ever. They are plants that have been trained to grow into a certain decorative shape through pruning or by growing around a frame. It’s considered an art by many gardeners and can add formality to any style of yard from English to zen gardens. Whether your plan is to shape whimsical animals or a simple ball topiary, here are things to consider before growing your own. 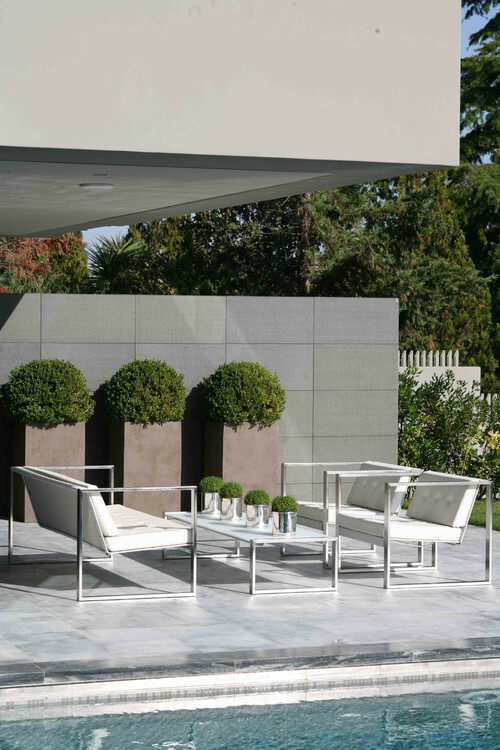 The reasons why one might place topiaries in an outdoor living space are varied. Framed topiaries in the shape of animals, for examples, are an easy outdoor project for the kids to help with that may just spark an interest in gardening. 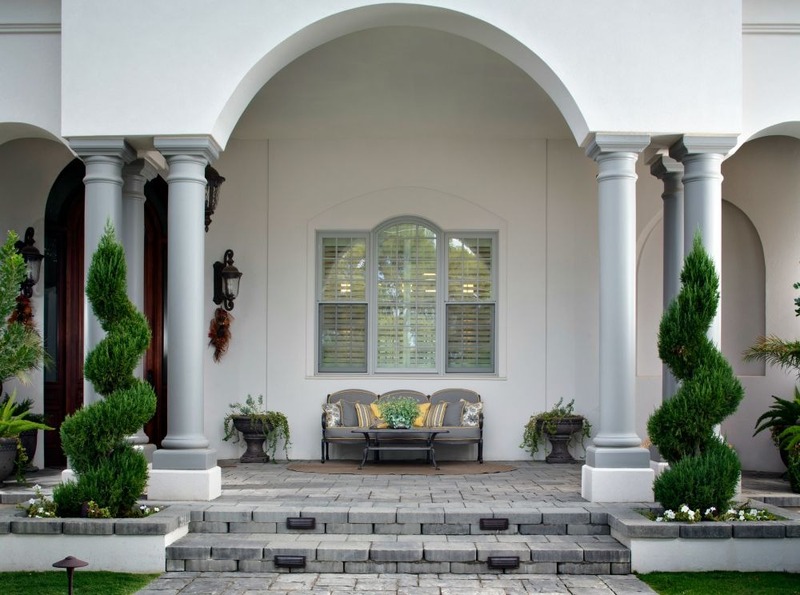 Upright topiaries, such as the spiral version above, help define an entry, garage, or even an outdoor kitchen. They can provide extra privacy when placed in front of windows, help hide ugly fencing or provide a pop of color on a large paver patio. 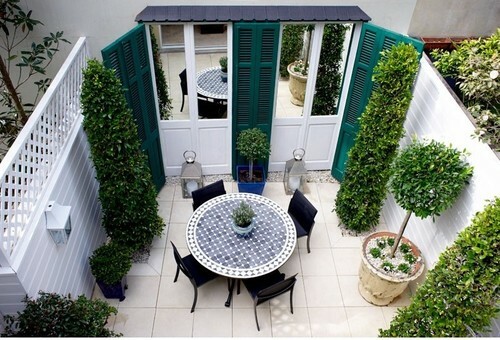 Smaller topiaries often serve as centerpieces on outdoor tables and kitchen islands. 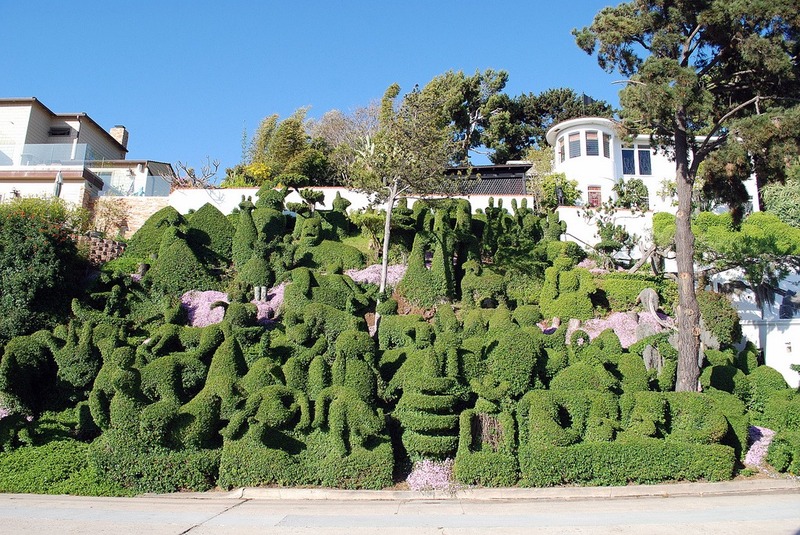 The homeowners below live in San Diego’s Mission Hills neighborhood and maintain one of the most ornate topiary gardens in town. It is a labor of love but also done for the enjoyment of passers-by. People drive out of their way to admire it. While the above is an extraordinary example of topiary use, our point is that the options are seemingly endless for those who are willing to take on topiary care. And, many topiaries are so subtle they look like they could be a plant’s natural shape. There are basically two types of traditional topiaries: shrubs that can be pruned into shapes and vines that can be trained to grow around a frame. Topiaries can be container plants or placed directly in the ground, depending on where you’d like to put it. A good rule of thumb is to choose plants with small leaves that don’t flower. Flowering distracts from and can muddle topiary shape. Succulent topiaries are becoming popular in Southern California but since they require a different technique, we’ll cover them in a separate post. Vining topiaries climb around a frame so the first thing to do is find as shape that you like. (We recently read online that the most popular frame at Mission Hills Nursery is a bear shape.) Next, choose the type of vine. A number of great options are available for Southern California gardens including English ivy, wandering Jew, and creeping fig. Your local nursery will be able to help narrow down the choices based on the look you’d like. Many gardeners choose to fill topiary frames with sphagnum moss so that they look full while the vines are growing into shape. The moss may need to be wrapped around a frame with fishing line or dental floss to prevent it from falling out of the frame. Then, the frame is planted with whatever vines you choose. Patience is required over the next several months or longer as the vine grows into shape. Wrap tendrils around the frame and trim as necessary until the frame is filled to your liking. The first step when creating a shrub topiary is to select the plant. Young plants are typically easier to shape but some mature plants will work, too. Shaping a shrub topiary can take several months. Pruning encourages bushier growth and some experts believe that when training shrub topiaries, depending on the size of the plant, pruning should be done in gradual steps to prevent the shrub from shock. 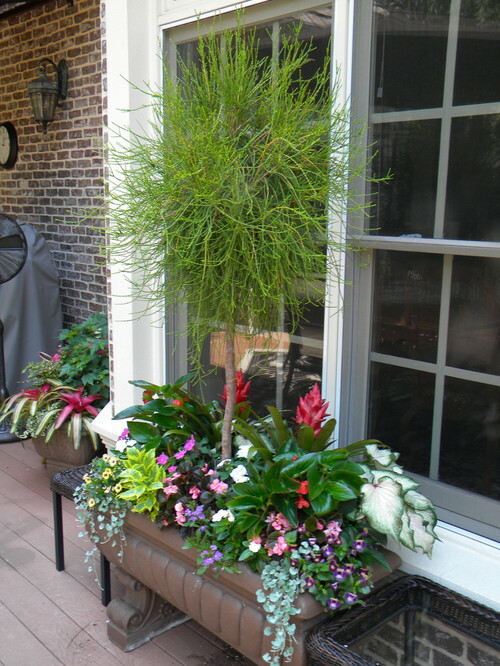 For example, trim 3″ at a time if it’s a big plant and perhaps 1″ off of smaller plants. These steps will need to be repeated multiple times so channel some patience. You can purchase frames to help guide shrub pruning which might be a good step for a newbie to this particular art form. For example, if you’d like to prune a ficus into a perfect ball. Place a ball frame over the tree and prune around it. 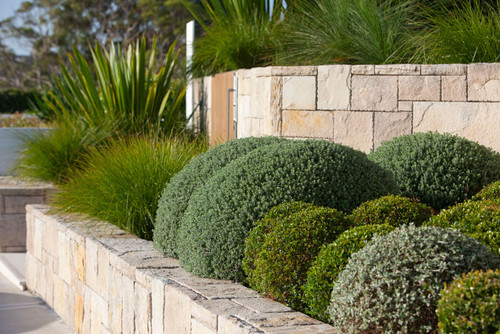 Good plant choices for shrub topiaries include boxwoods, junipers, heavenly bamboo, cyprus trees and a myriad of other choices. It’s also very easy to prune herbs like rosemary into a geometric topiary. A simple round circle in a pot would make a lovely centerpiece. It is actually possible to create your own spiral topiary at home from a cone-shaped evergreen tree or shrubs that are planted in containers or directly in the ground. Take a thick ribbon and wrap it around the tree in the desired spiral shape, starting from the top and ending at the bottom. It’s important to make sure that the ribbon’s spirals are evenly-spaced so take a look at the shrub from every angle to make sure it’s exactly to your liking. Next, cut away branches (as close to the trunk as possible) that fall under the ribbon. Remove the ribbon and trim any other loose leaves or branches to perfect the shape. Topiaries are a commitment to art and will require ongoing maintenance by you or a gardener. Watering properly is extremely important. Shrub topiaries should be watered in a manner that avoids leaf fungus. This means watering at the base of the plant only in the mornings. Water-soluable plant fertilizers should be applied every month or six weeks during the plant’s growing months. Be aware that fertilizer keeps the plants healthy but also may cause them to grow quickly. In the case of a topiary, this means a bit of extra pruning. Moss topiaries probably need to be sprayed, misted or dunked in water depending on the size. Whatever the method, make sure they are in a place where water can drain properly from the frame. They will require more frequent watering as moss can’t retain as much water as soil can. What kind of topiaries do you have at home?